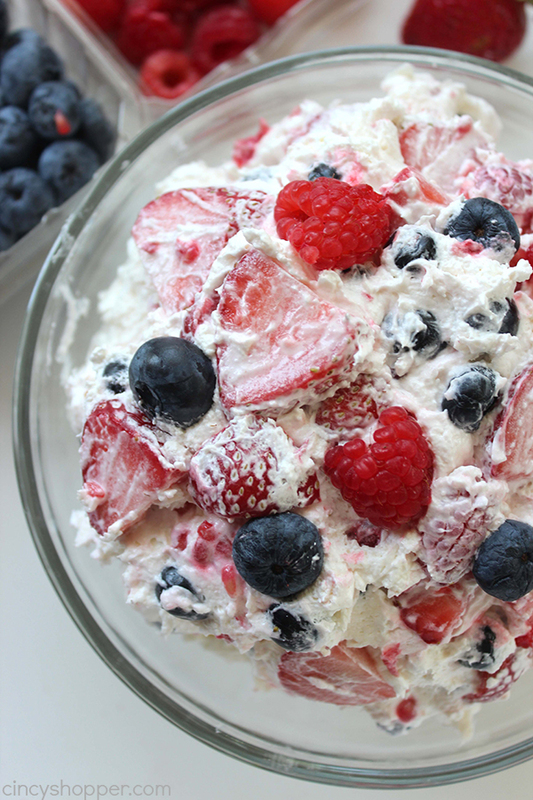 This Berry Cheesecake Salad is not your average salad. 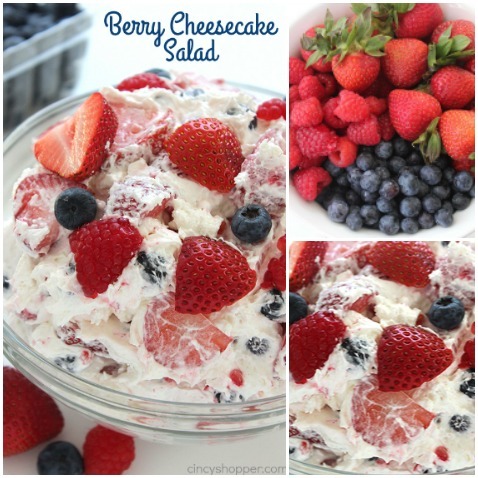 It is loaded with strawberries, blueberries, raspberries, and great cheesecake flavors. Perfect side dish for summer bbqs or any potluck. 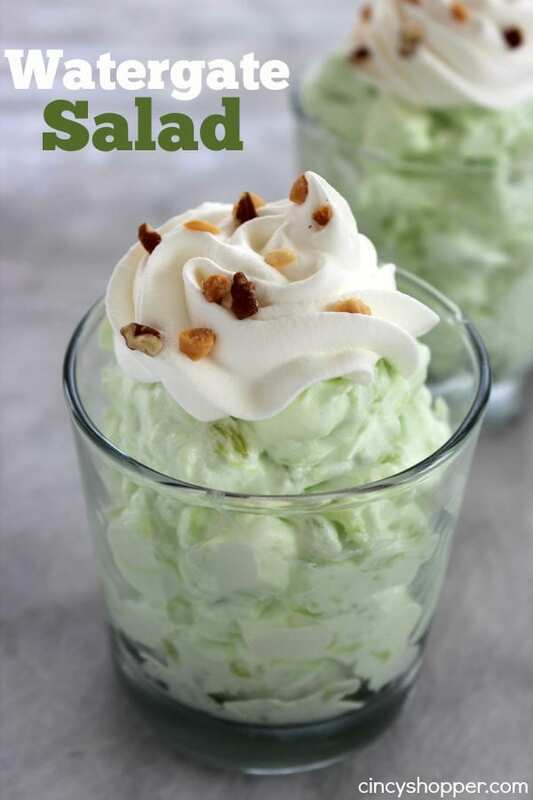 With summer bbq season in full swing and 4th of July just around the corner, I am sure you have been looking for the best salads to make. The classics, like Pasta Salad, are great but this salad is going to quickly become one of your favorites. 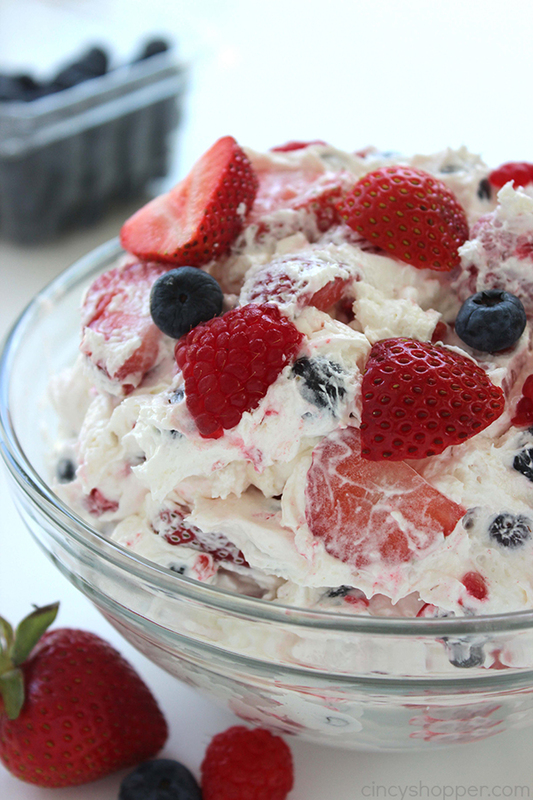 Berries and cheesecake always go well together. 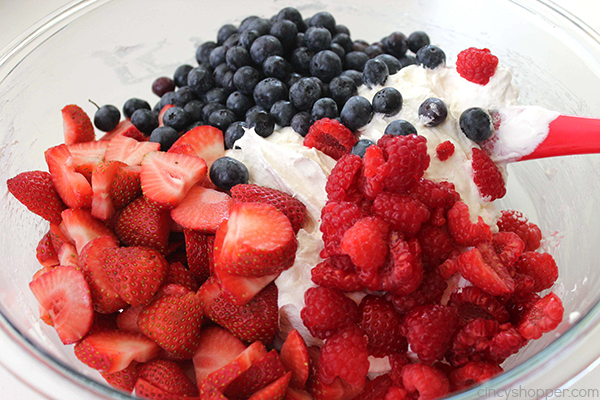 I made our Berry Salad with strawberries, blueberries, and raspberries. 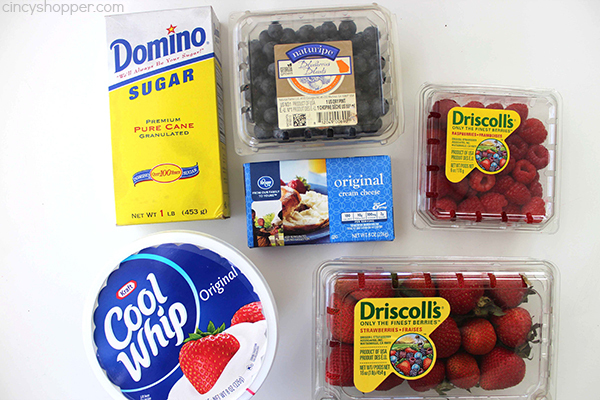 You could easily add in other fruits like blackberries too. Quick and easy side dishes are awesome! 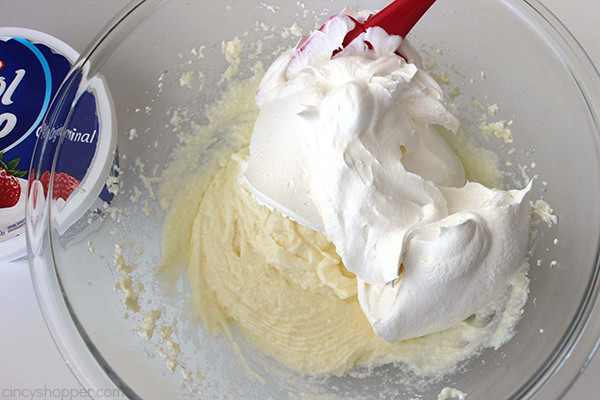 I like having favorite recipes that I can whip up in just a few minutes time. This is one of those recipes. 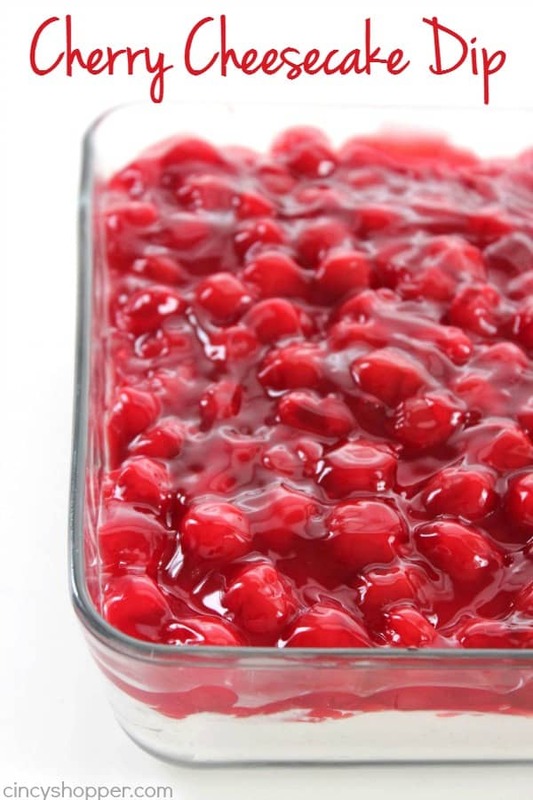 Mix a bit, toss in the fruit, chill for just a few, and you can have a perfect side dish. 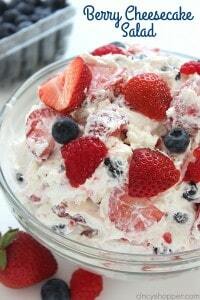 Our Berry Salad was a hit. 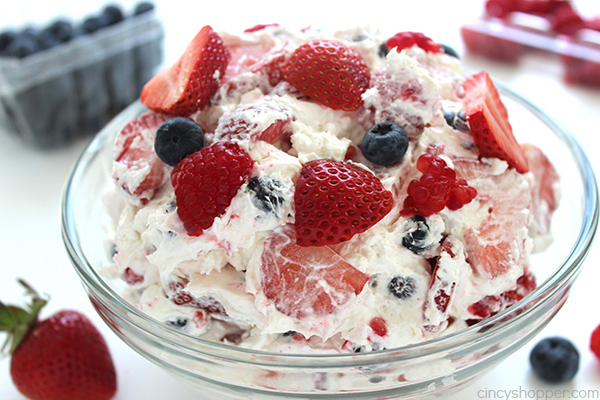 I have made this one a couple of times already this summer and the entire bowl is always completely gone. 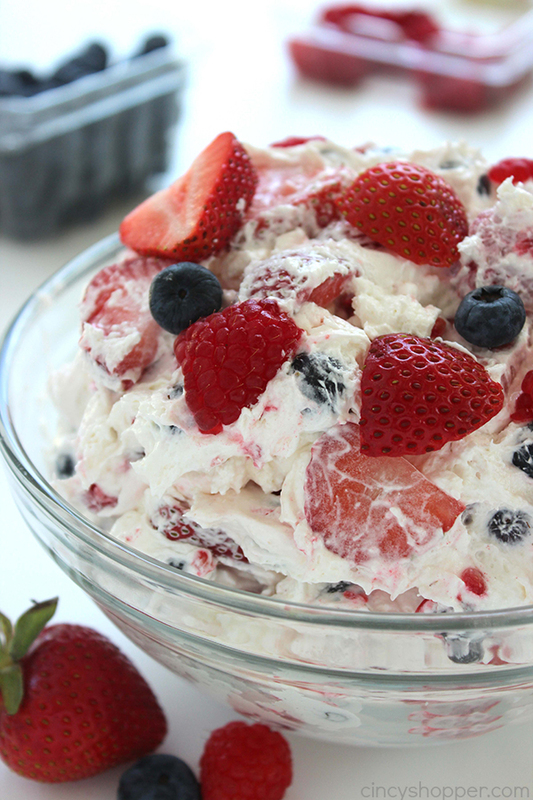 Everyone loves the berries combined with the cheesecake and whipped topping. If you are looking to make this super easy salad, you will need some cream cheese, Cool-Whip or homemade whipped cream, sugar, and some fresh berries. 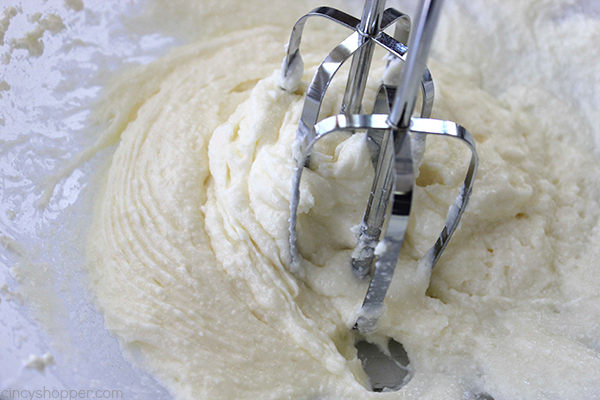 You will find this recipe delicious and so easy to make. 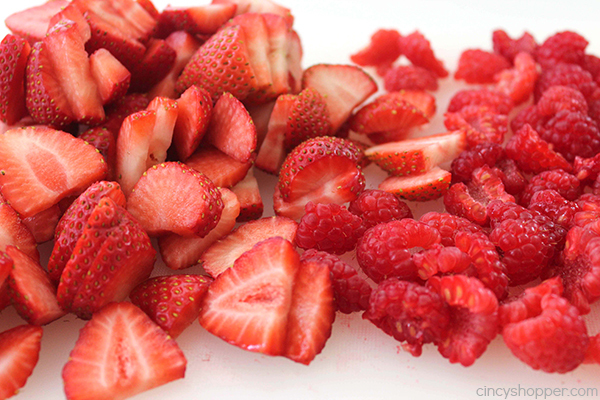 Wash, trim and slice berries. Set aside. 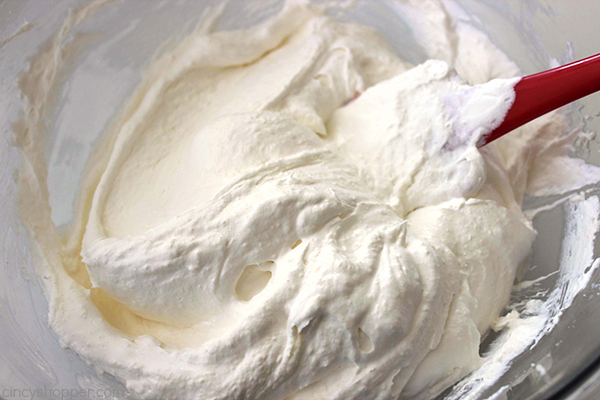 Fold in Cool Whip and mix until combined. 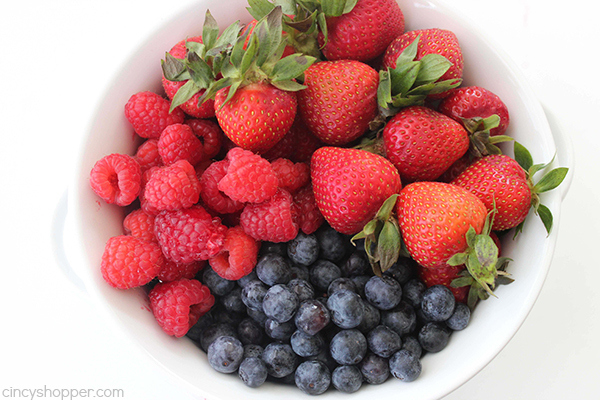 Fold in fruit until combined (do not overmix). 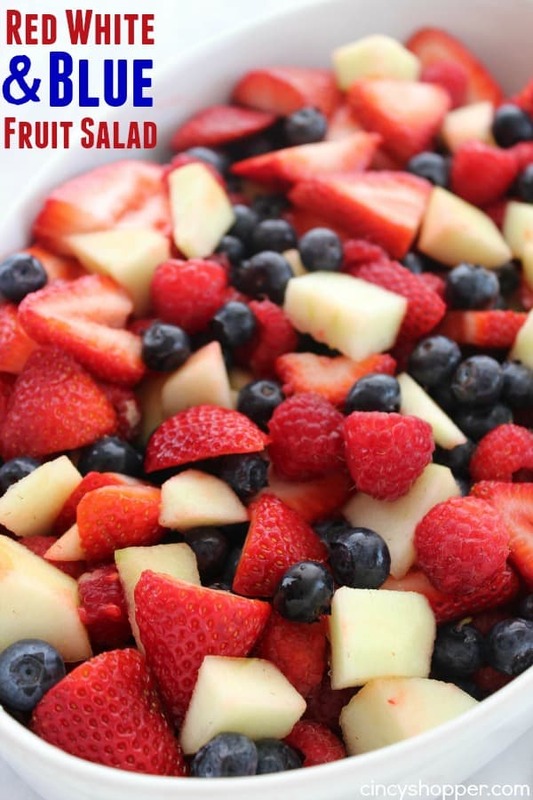 Do you have a favorite salad that you make for your summer grill outs? 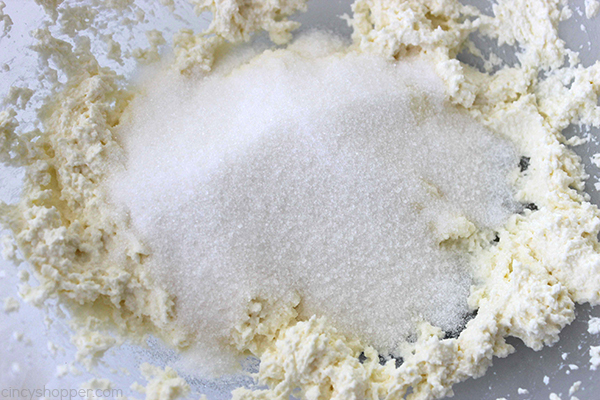 Oh my gosh, this is my favorite recipe I’ve seen today. I like how simple it is to make and overall healthy too. Looks great, bet it taste good too. I will try to next week. This is delicious! My daughter in law made it and everyone loved it! How many servings is this? Maybe I missed it? Looks delicious!